Location: On the corner of Sesnon Blvd. and Beaufait Ave, by Porter Ridge Park. From the 118 Freeway, take the Reseda Blvd. exit. Turn right on Rinaldi and make a quick left on Reseda. Go 1.6 miles to the end of Reseda, turn right on Sesnon and park on the corner of Sesnon and Beaufait. (From Simi Valley, also take the 118 Freeway to Reseda Blvd. and just turn left). 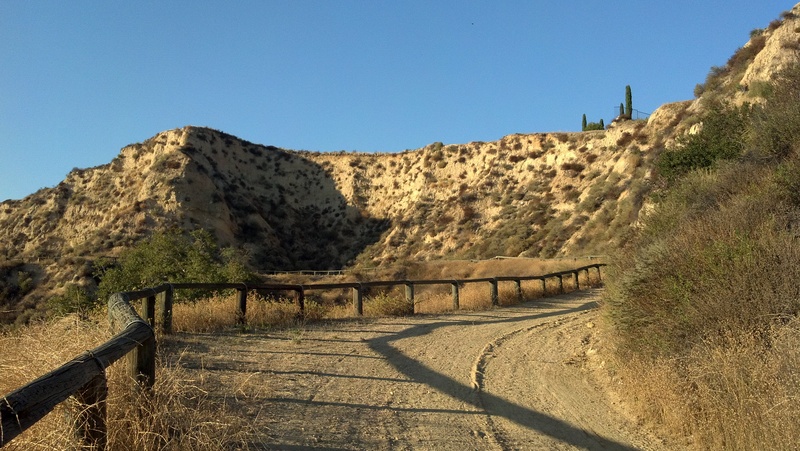 The recreational trails of Porter Ranch are a pleasant surprise for San Fernando Valley hikers. They offer a nice variety of scenery and a surprising amount of isolation, considering how close they are to the freeway. 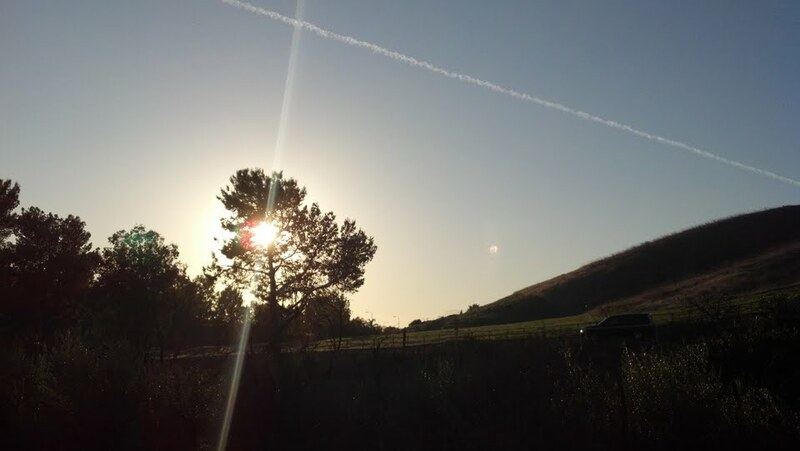 The loop route described here uses four of Porter Ranch’s trails, creating one of the Valley’s more varied and enjoyable hikes. From the end of Sesnon, head downhill onto the (unsigned) Aliso Canyon Trail. The trail heads through a wooded canyon, passing by a few trails entering from the nearby housing tract. The canyon is pleasantly quiet; it isn’t until you approach Rinaldi that you start hearing traffic. After 1.3 miles, the trail reaches a T-junction. Head right, uphill and out of the canyon. You pass the back of a residence, and make a hairpin turn to continue your climb, soon reaching Reseda Blvd. There are no lights or walkways here, so be careful as you cross Reseda, although traffic is likely to be light. On the other side, the Palisades Trail follows Reseda for 0.3 miles before veering off to the left. You make a short climb and then a long descent. With nice views of the Valley and the Santa Monica Mountains on the left and interesting geology (the Palisades) on the right, this is one of the more scenic sections of the hike. After about 1.5 miles, the Palisades Trail reaches Tampa Avenue. You cross the street (again, no lights or crosswalks, but not much traffic) and follow Tampa for a short distance before the Palisades Trail heads off to the left and downhill. You join the Limekiln Canyon trail, head right, and follow it 0.3 miles to Sesnon. At this point, you can simply turn right on Sesnon and walk back to your car on the street (about half a mile), but if you want to complete the loop on without pavement, cross Sesnon and walk down to the end of Tampa. The dirt Sesnon Trail heads east, reaching the end of Ormskirk Ave. in half a mile. Head right on Ormskirk, and go downhill to Porter Ridge Park. You cross through the park, arriving at Sesnon Blvd. where it meets Reseda. Turn left on Sesnon and head back to your car.